Select Side Outlet (Horizontal) or Bottom Outlet (Vertical) 99% of the time you will require a side outlet! 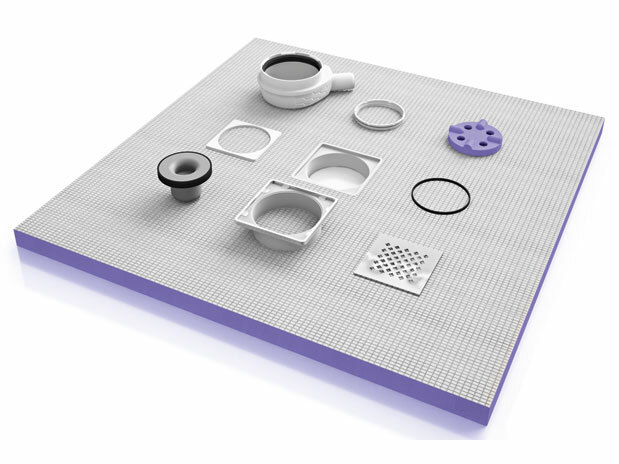 Select an Optional Designer drain grate. By Default the drain comes with a standard stainless steel grate. The most important item in your wetroom that keeps everything from leaking! Available in Small & Large. Earn at least 91 points by purchasing this product. 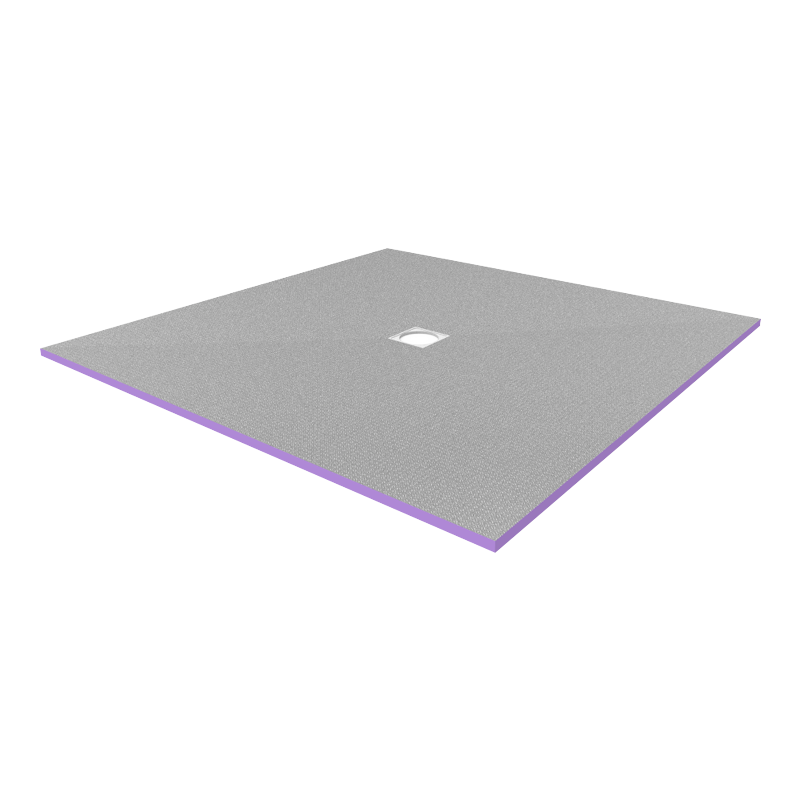 These Jackoboard wet room shower trays are manufactured from a high compressive strength, waterproof extruded polystyrene core, which is coated on both sides with a highly polymer modified cement coating that has been reinforced with a glass fibre mesh ensuring your wet room shower tray is extra strong. 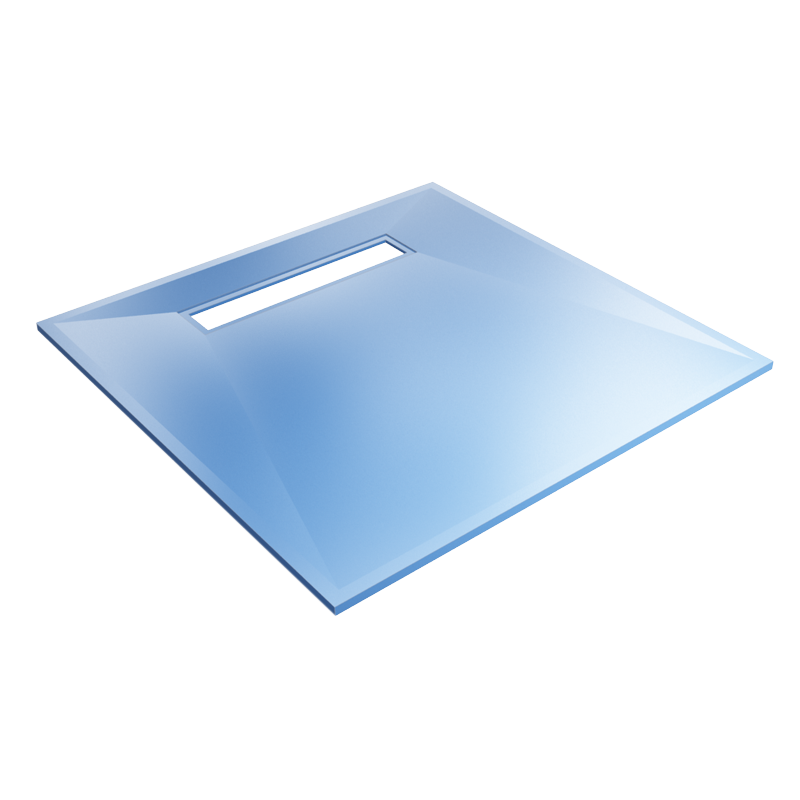 The wet room shower trays are designed for use in timber & concrete floors but only tiled finishes. By removing the existing floor boards and constructing a reinforcing platform between your floor joists to fully support the Shower Element it is possible to create a fully tile-able wet room floor. 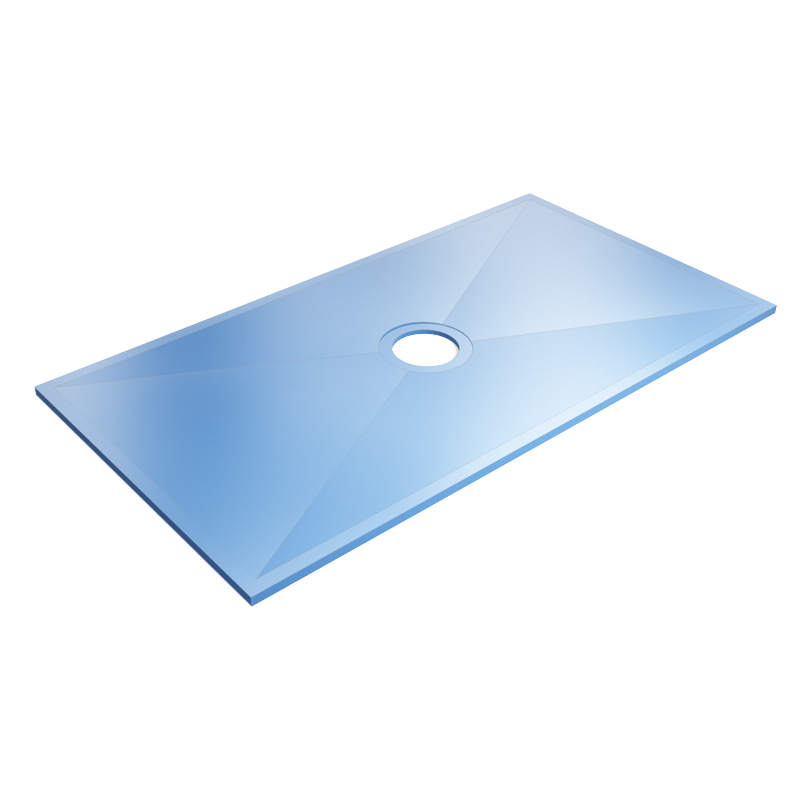 The Jackoboard wet room shower tray can be easily trimmed to size on site with simple hand tools if necessary. 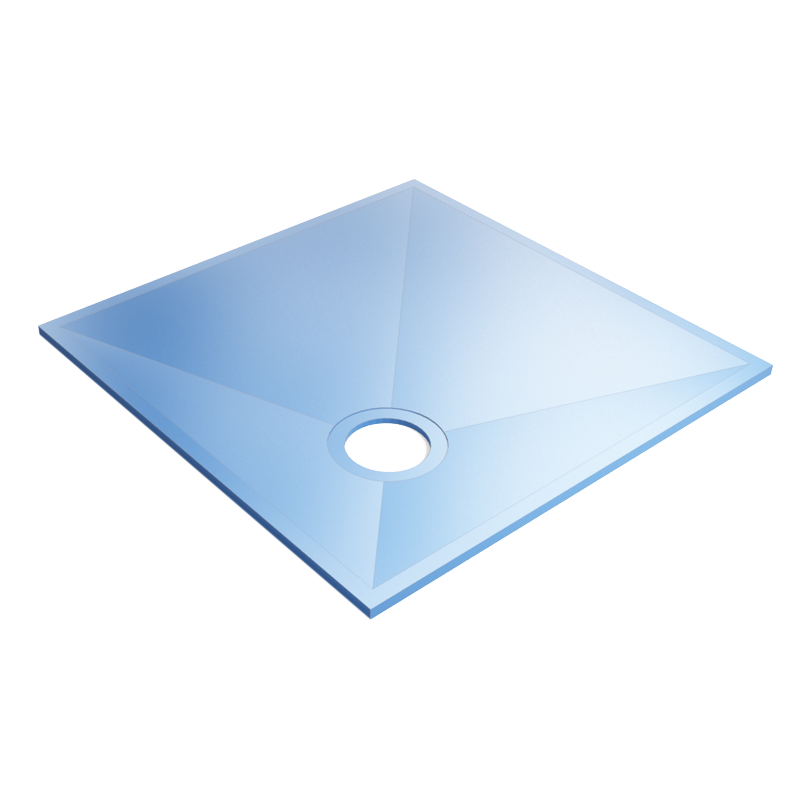 Jackoboard wetroom shower trays can be installed in to timber floors, for best results we recommend removing the existing floorboards to the size of the tray to enable flush fitting withing the room. 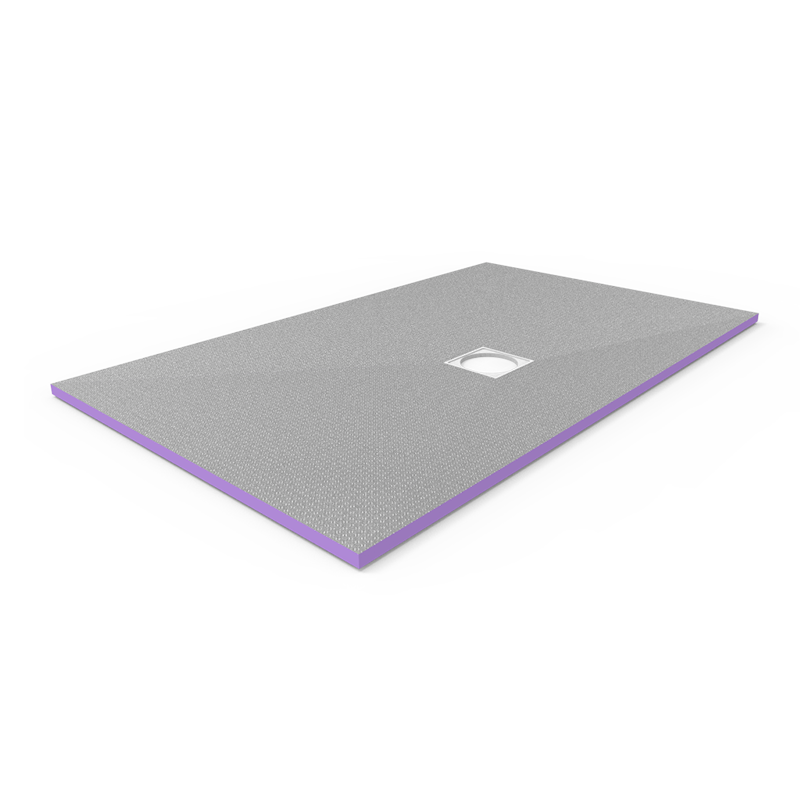 Using Jackoboard wetroom shower trays on timber floors will require underboarding support between the joists as the tray is manufacturers from eXtruded Polystyrene. 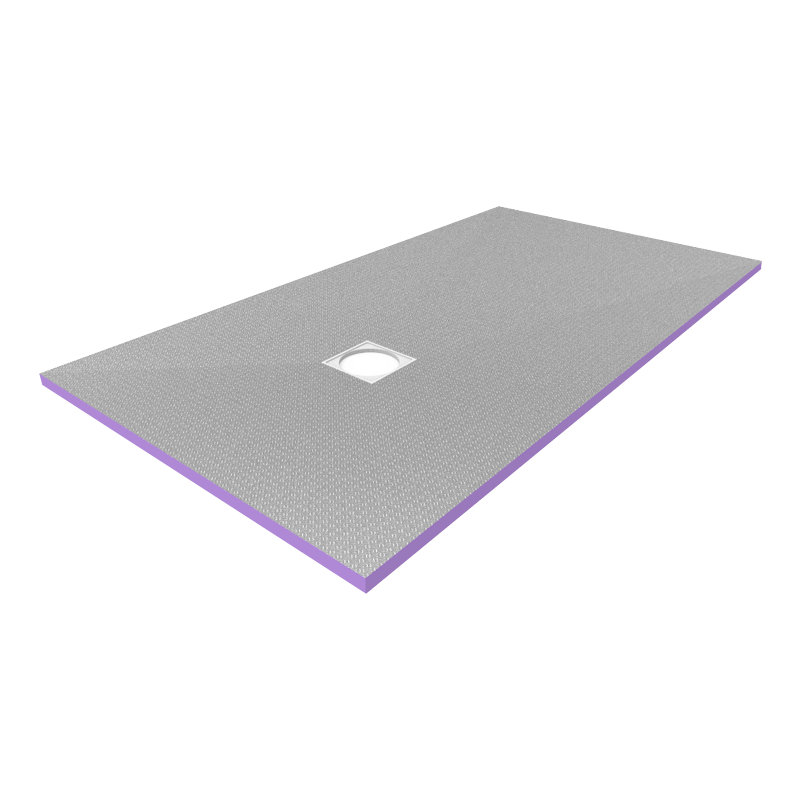 Jackoboard wetroom shower trays are specifically designed for installation in to concrete floor, however can also be used with timber floors. 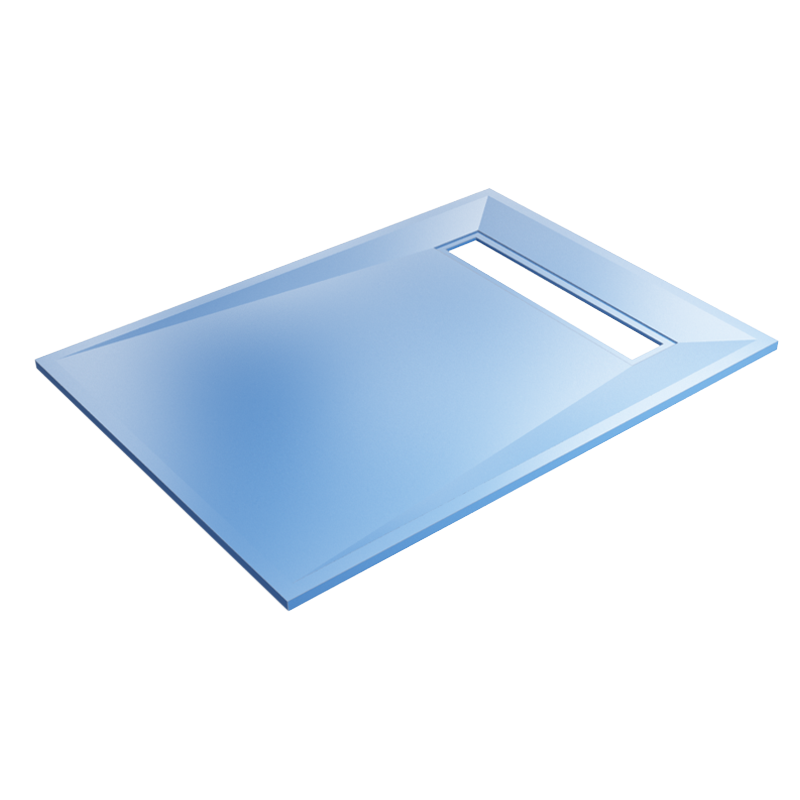 To achieve best results we recommend installing the wetroom shower tray flush with the floor, this is usually achieved by removing existing concrete flooring and installing the wetroom tray. Please note this tray cannot be used with vinyl flooring or wheelchair access. We recommend that all wetrooms shower areas are installed using Tile Backer Board, This ensures that we wetroom area is fully waterproofed, Tile Backer Board replaces plasterboard and ensures a nice clean installation surface for tiles. We recommend using a minimum of 12mm Tile Backer Board for the walls. Glass Reinforced Plastic is much stronger than XPS which is eXtruded PolyStyrene, while XPS is cheaper to purchase in most cases GRP shower trays work out less expensive to install as they are self supporting and don't require extra materials for installation. 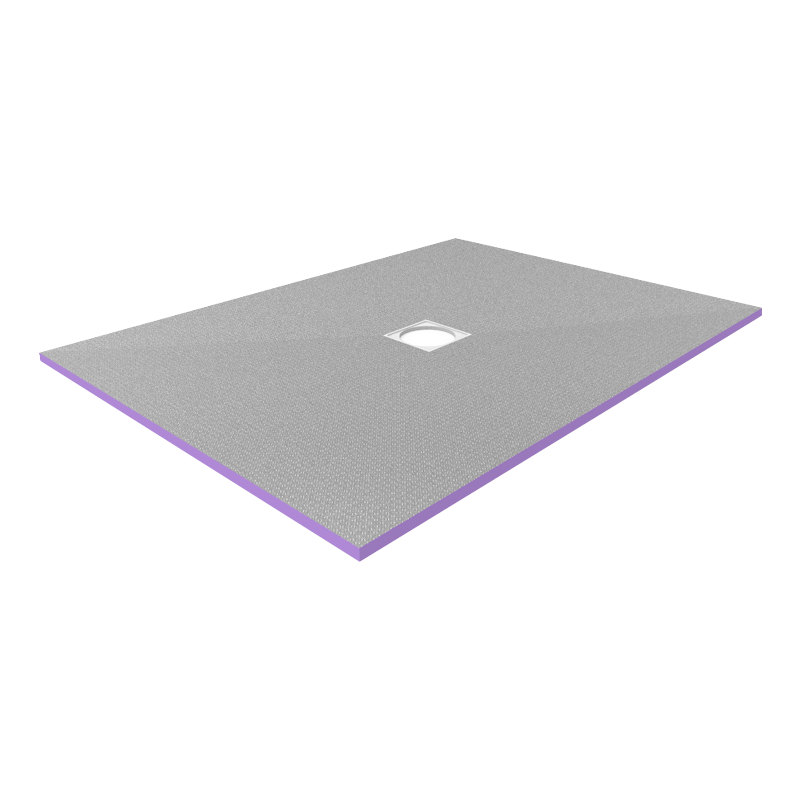 What finishes can i use on a Wetroom Shower Tray? GRP Shower trays like Tough-X can have a finish of Tiles, Mosaics, Alto Style Flooring which covered pretty much every installation type. 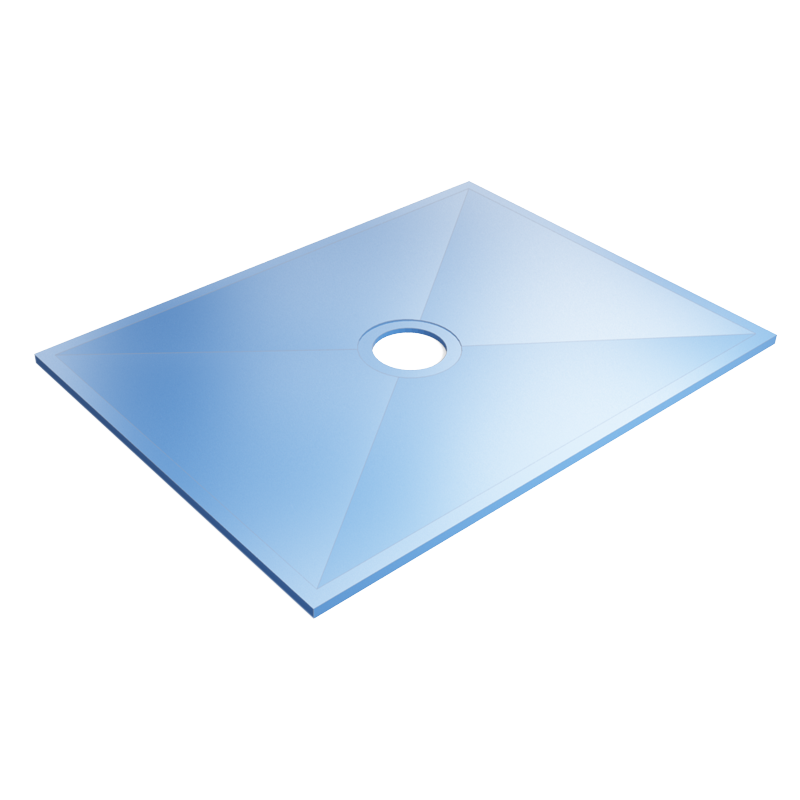 XPS can take tiles only due to load pointing, if the tile is to small the pressure can be transferred to the Wetroom Shower Tray and work lose. 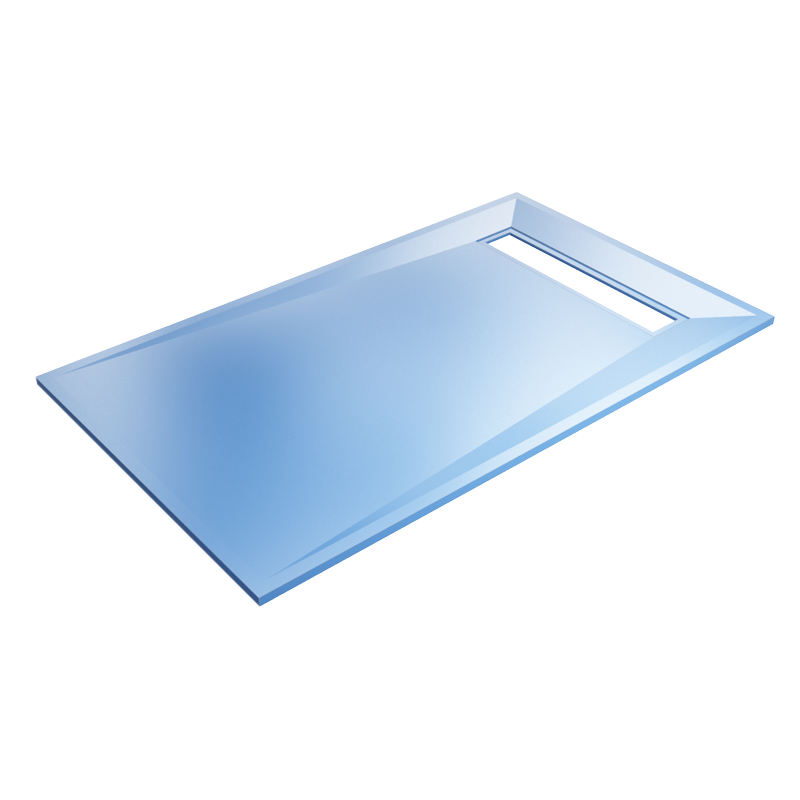 Can i use a Wetroom Shower Tray on the second floor? If you are installing your wetroom shower tray upstairs the vast majority of UK builds will be timber floor and timber joists. Tough-X GRP are the best solution for this type of wetroom installation, Due to it be self supporting and not requiring any underboarding between installation times and materials are reduced.